Everyone has heard that classic line from Snakes on a Plane but did you know that it wasn't always part of the film. In fact, it wasn't in any original draft at all. Snakes on a Plane was originally a screenplay called Venom and it was a lot more PG-13. The title was then changed to the familiar Snakes on a Plane but that was never intended to be the release title. 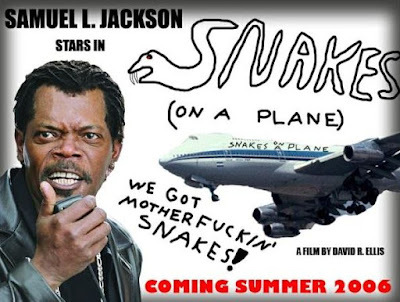 Eventually Samuel L Jackson boarded the project as the lead Neville Flynn and once the internet found out that Samuel L Jackson was going to be the main character in a film called Snakes on a Plane, the internet lost its collective mind. They made jokes and memes including this one that spread around the internet prior to the film's release. According the legend, either Samuel L Jackson's agent or a studio executive at New Line insisted they ditch the silly name for the much more serious Pacific Air Flight 151. Jackson heard about this in an interview and said "We're totally changing that back. That's the only reason I took the job: I read the title." 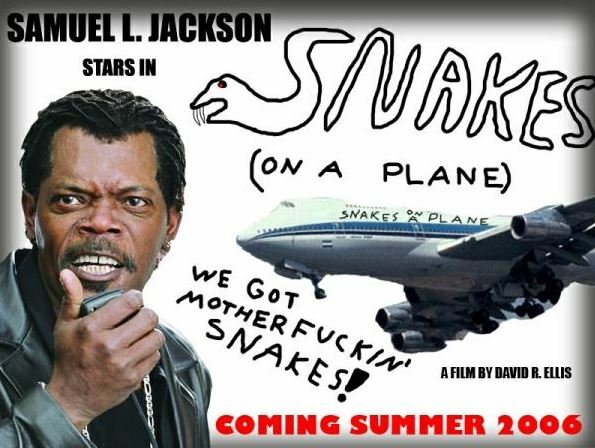 By March 2006, the title was changed back to Snakes on a Plane and all was right with the world. New Line also ordered reshoots to take the film from PG 13 to a full R. The most notable of the additions was the classic line that was inspired by the aforementioned meme. The biggest Snakes on a Plane development post-release was the changing of the line to fit the broadcast network's more delicate sensibilities without altering the scene. Check out what they came up with here. You can vote for Neville and the rest of the characters in the Samuelest Jackson bracket here. Check out the entire bracket here. Keep up with us on Facebook and Twitter for updates on the bracket. You can subscribe to us on iTunes, Soundcloud, and Stitcher. Now get out there and vote, Motherfuckers!